One per customer. No cash back for unused portion. PureLife Organic Inc. is passionate about healthy living and began with a dream of sharing this passion with others. 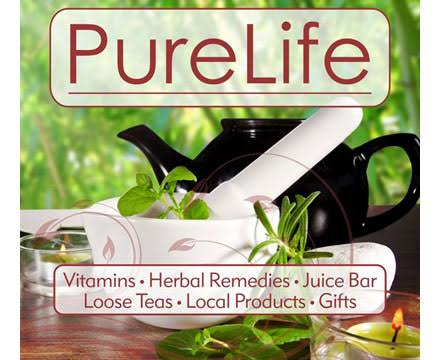 In 2007, PureLife Organic opened our first health food store in Wilmington, NC. We quickly expanded our company and started manufacturing an extensive collection of herbal and holistic products. PureLife Organic is known for their friendly, knowledgeable staff that can help select the healthy, natural and/or organic products you are seeking. You will be happy to know that our Senior Herbalist, Certified Nutritionist and Founder Victoria Chavez along with PureLife Organic, Inc. manufacturers each and every product free from all chemicals, synthetic, parabens, glycol and sodium laurel sulfates. Miracle Skin Relief products are handmade in beautiful Wilmington, North Carolina and we are members of the Goodness Grows in North Carolina organization and the Natural Products Association.